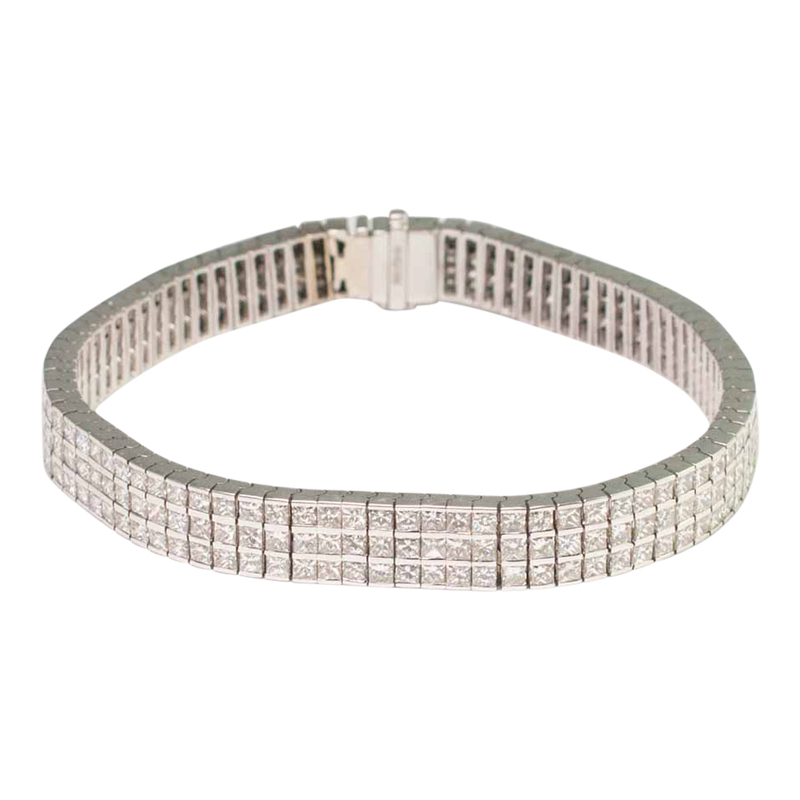 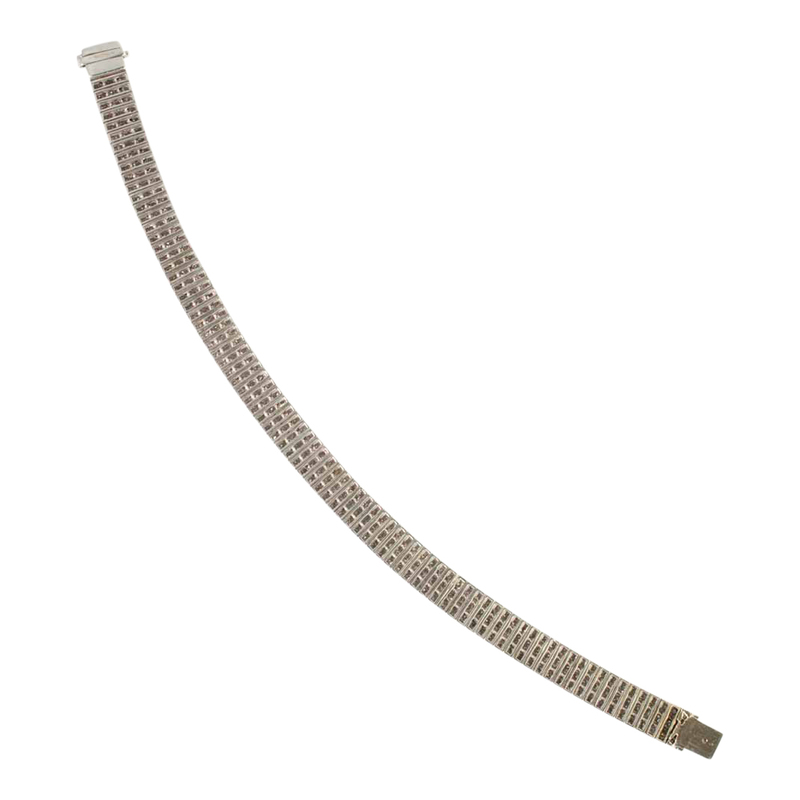 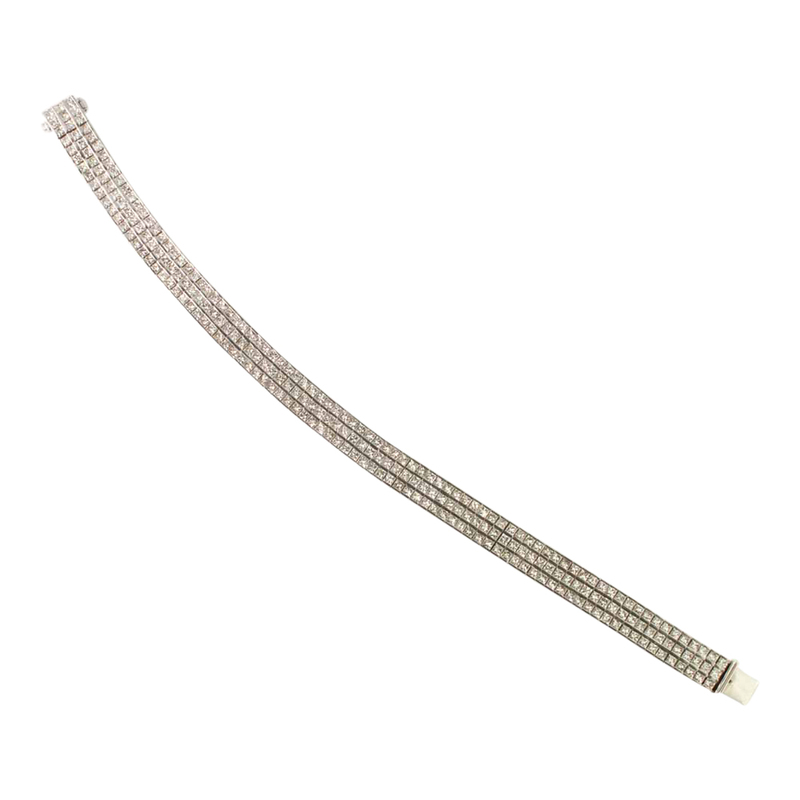 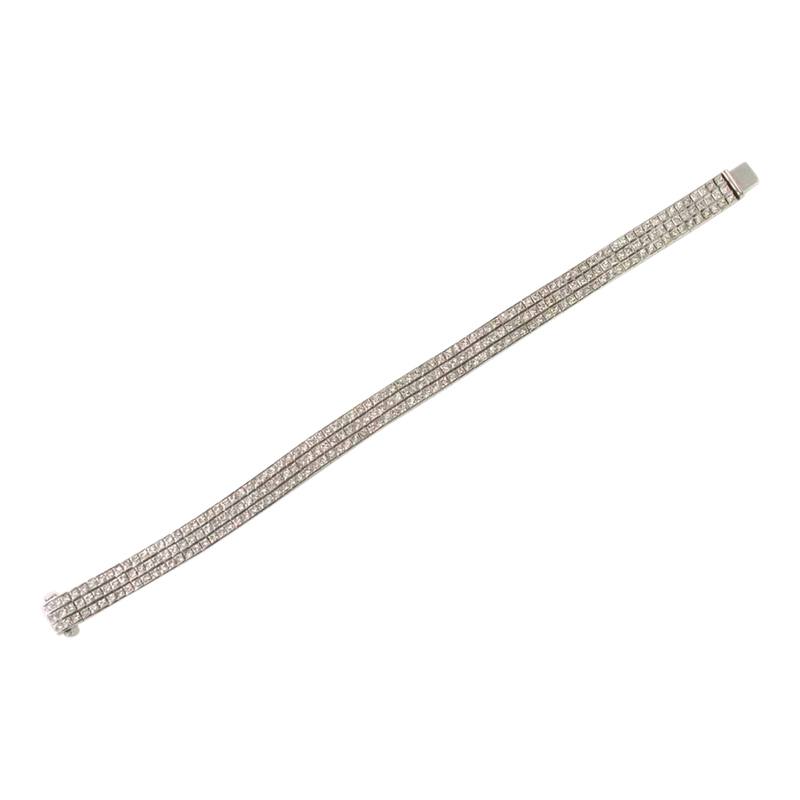 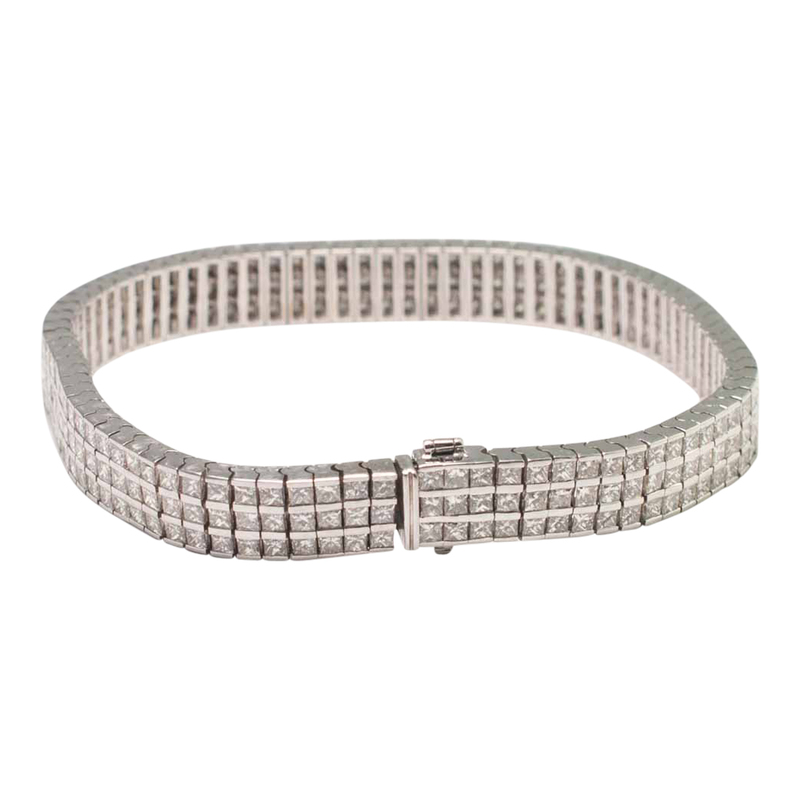 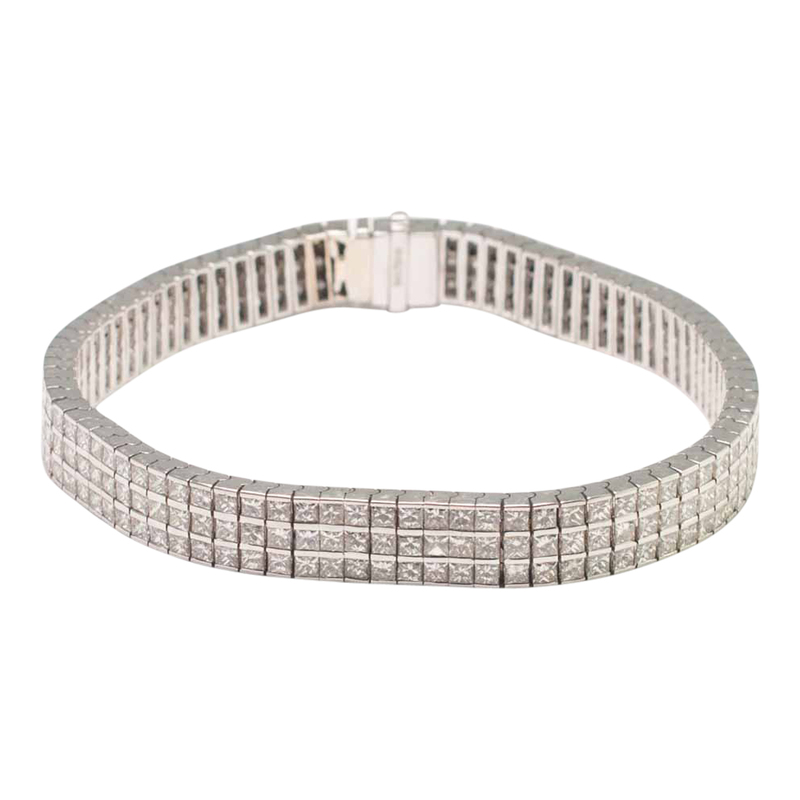 Beautiful triple diamond set line bracele which consists of 84 articulated rectangular panels, each channel set with three princess cut diamonds measuring 2.1mm x 2mm. 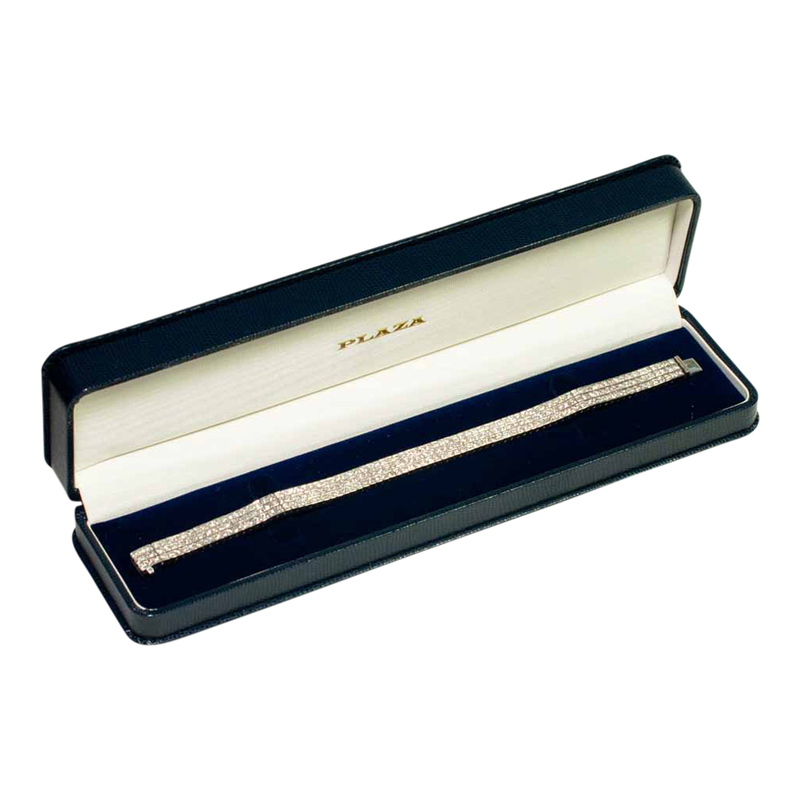 The bracelet measures 0.82cm wide x 19cm long and fastens with an integral box snap and hinged safety clasp. 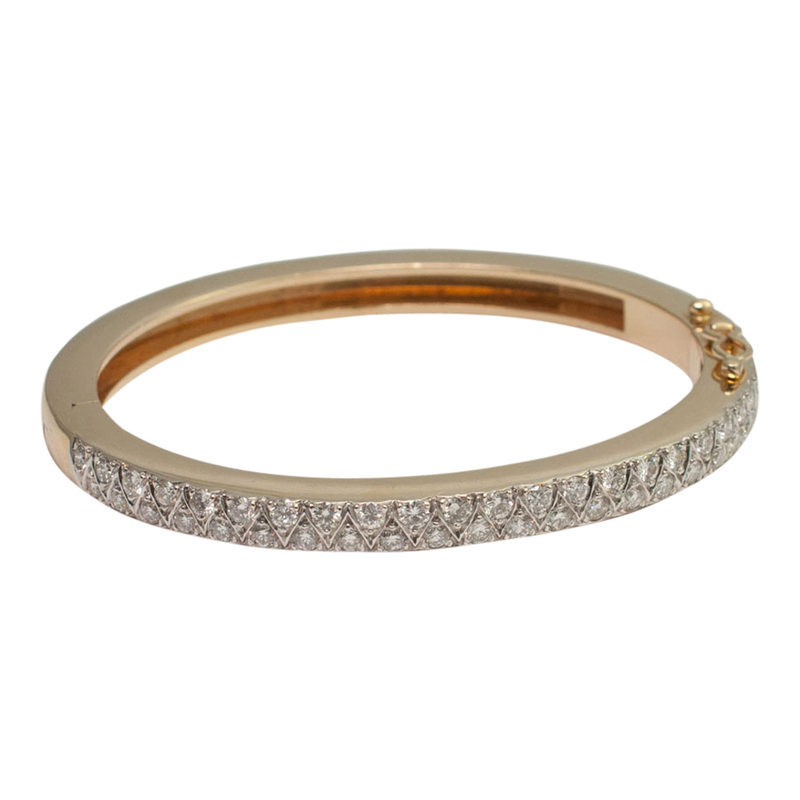 Hallmarked Birmingham 18ct gold. 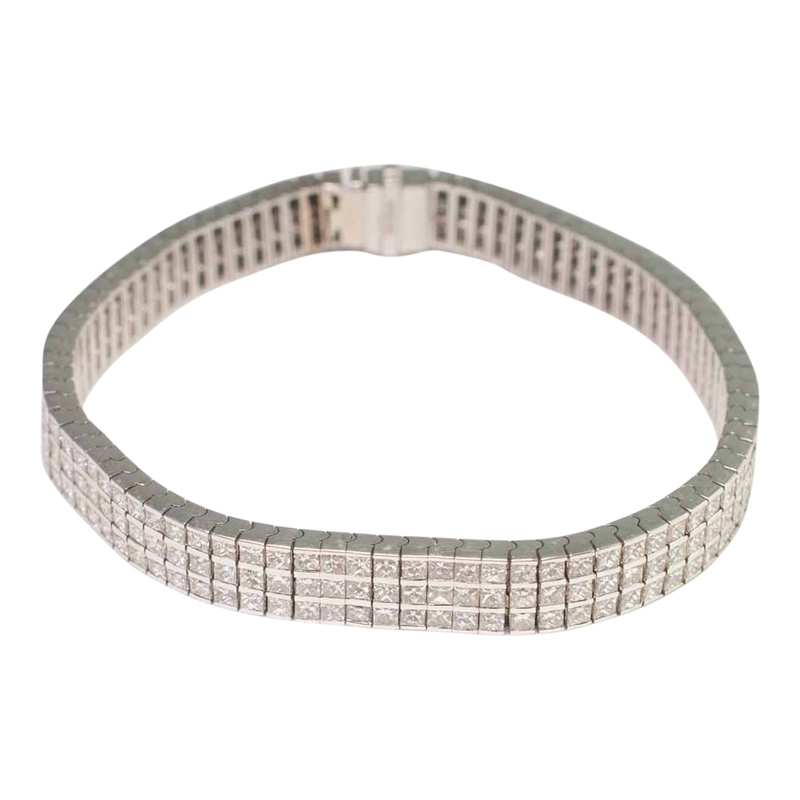 Diamond weight 15.12ct; approximate colour I/J, clarity S!. 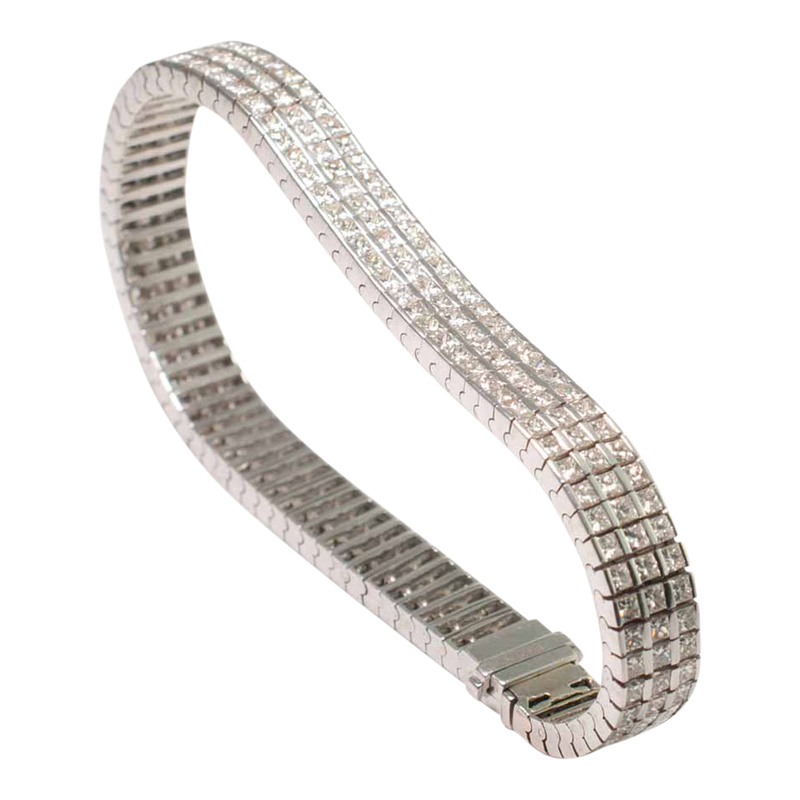 Weight 39.77gms. 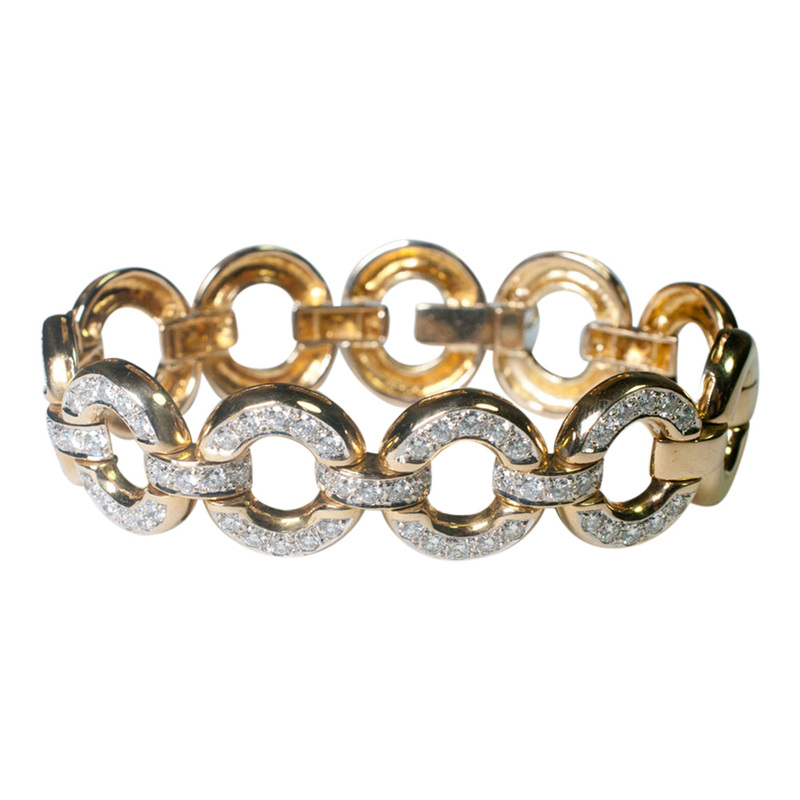 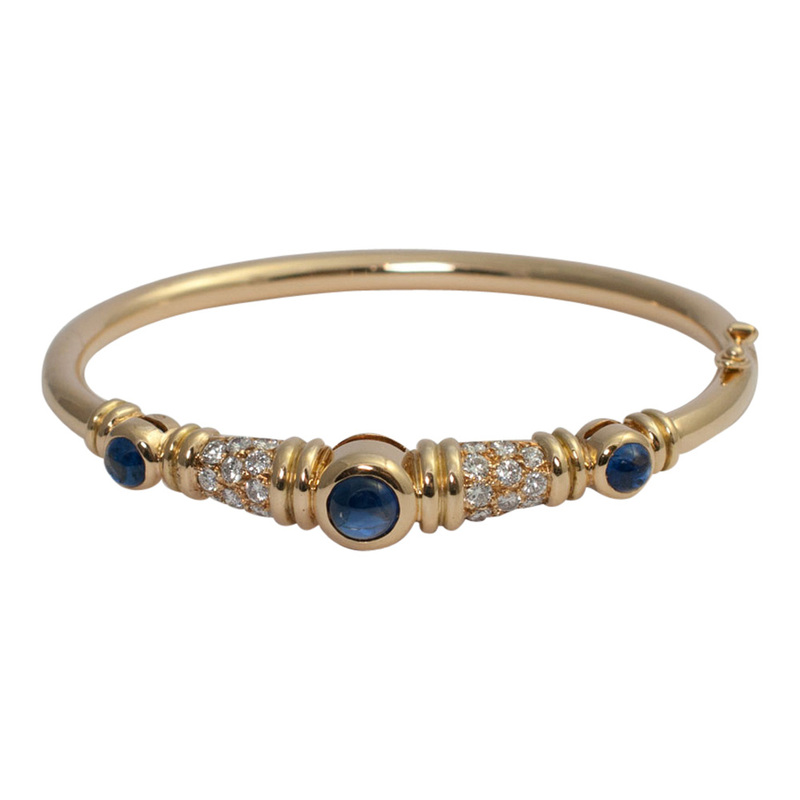 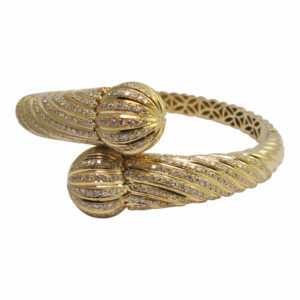 This bracelet has great flexibility and is ribbonlike in texture making it extremely comfortable to wear.